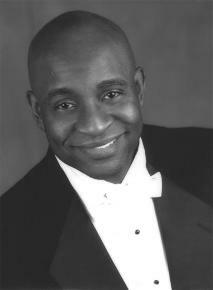 Frank Ward (Bass-baritone) is a versatile performer in recitals, opera and oratorios. He is a sought-after performer who has appeared in productions as diverse as La Boheme, The Marriage of Figaro, Showboat and Mikado. Wrote one critic, "Bass-baritone Frank Ward was superb in the comic role of the drunken servant Gelone. His incisive phrasing, full tone and pointed diction made his scenes amusing." Ward made his European debut singing the role of Don Bartolo in Rossini's The Barber of Seville in Rome, Italy with Opera Estate. Recently, Ward has been singing multiple performances of the role Ned in Scott Joplin's opera Treemonisha with the Paragon Ragtime Orchestra. Ward has performed Handel's Messiah, Faure's Requiem, Haydn's Lord Nelson Mass, Menotti's Amahl and the Night Visitors and Gershwin's Porgy and Bess Suite with orchestras from North Carolina, South Carolina, Virginia, Connecticut and Massachusetts. Ward is equally as comfortable in a variety of musical styles in his recital performances. In addition to standard repertoire such as Purcell, Handel, Schubert, Copland and Barber, Ward enjoys singing art songs by African-American composers. He has had much success singing the works of Howard Swanson, Margaret Bonds, Leslie Adams, H.T. Burleigh, Hall Johnson and Wendell Whalum. Ward has been working closely with composer Adolphus Hailstork in preparation for the world premiere of a cantata, written especially for him, Crispus Attucks. Ward's 2004-2005 engagements included recitals in Virginia, North Carolina and Rhode Island, featuring art songs and show tunes by black composers from the late 1800s to 1920, such as J. Rosamond Johnson, James Weldon Johnson, Bob Cole and Eubie Blake. A native of Richmond, Virginia, Ward holds degrees from Morehouse College and the University of Michigan. Critics have praised Ward's "careful attention to diction," and his "great vocal agility and treatment of ornamentation." Critics have also reveled in how his stage presence ". . . married showmanship with vocal technique to a great advantage." Of one performance, Pulitzer Prize winning poet W.D. Snodgrass wrote, "Frank Ward truly knows how to present a song." Albany Records has released a new CD entitled "Amazing Grace - Organ Music of Adolphus Hailstork." This recording features solo organist Dr. James Kosnik (Old Dominion University) and bass-baritone Frank Ward.